My name is Mia I’m in 8th grade (13 years old) . I’m running for SRLA because I know it will take me somewhere in the future and I really enjoy running. A big obstacle that happened to me during this SRLA season is that my knee gives me pain sometimes when I run . I’ve had to rest and make sure I don’t push myself too hard. SRLA is a huge part of my life. Even though this is my second year being part of SRLA, it gotten me through good things. I feel happier and improved when I run . Before I joined SRLA, I didn’t really have good grades in school. When I joined SRLA I knew I wanted to be on track with grades and sports . And it’s a choice I’ll never regret. I started getting good grades, being more capable in sports, running faster and not giving up. Sometimes I feel like I can’t do it but I just keep pushing myself. SRLA has brought me to good people. I love my teammates. Every time I see my medals I feel proud of myself, of what I’ve done and what I could do . I know I will continue with SRLA in the future because it’s something I enjoy and it’s a great experience. I’ll be doing Srla until my senior year and I’m not backing out on it because it’s my dream. SRLA has been a really great experience for me. It’s really fun if you get to enjoy it. When I began last year, I thought I couldn’t do it and I felt like I was failure. This made me upset and I didn’t go to some of my practices. However, I got myself together and told myself I could finish it no matter what . And I did. The Los Angeles Marathon is really enjoyable. You see the places that you never been as you run. Races before the Marathon also take you to new places, like Pasadena and the Holiday Half Marathon. Both are really cool places when you look around. I had not seen raging waters before the Holiday Half Marathon. When I run with SRLA it makes me feel happy about what I’m doing. I can’t wait for this year because I know I can do better than last year and it’s all about improving. I honestly know that I am ready for the marathon and it’s what I’ve been waiting for. I can’t wait to see the beautiful medal and to cross the finish line in a big smile . SRLA made me an athlete, made me feel good about myself , and brought people together. I’m really glad I joined SRLA and I won’t give up . 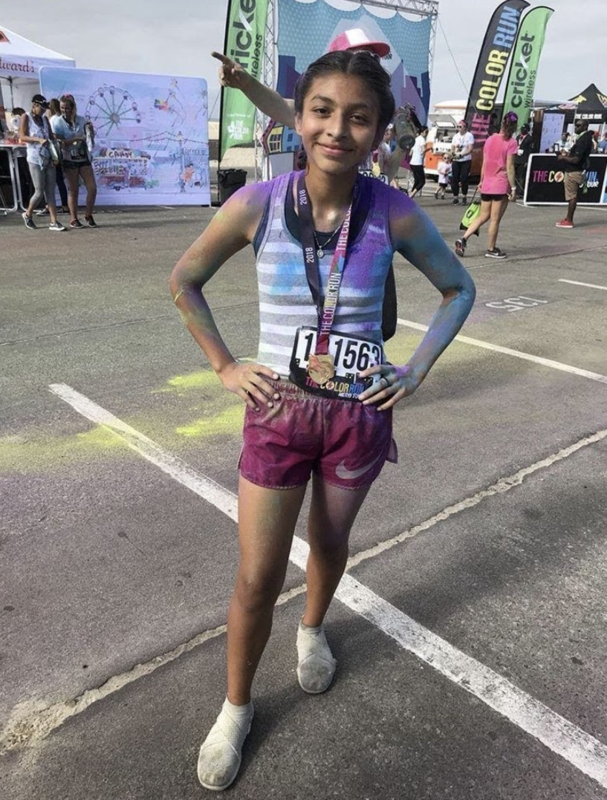 Make a donation today to support Mia and her teammates as they train to cross the Marathon finish line!